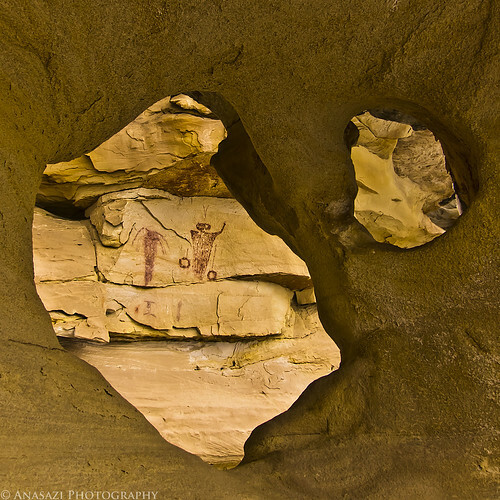 A small Barrier Canyon Style pictograph panel in the San Rafael Swell viewed through a small arch in the sandstone. The day I visited this site (and a couple of others) it had been snowing on us all morning and never let up the whole day. Fortunately, this panel was well protected under a nice overhang so I could get this photo. Of course, the view through the arch required that I stand in the snow to see it, but it hardly mattered as I was already soaked from head to toe…..the things I do to see rock art!